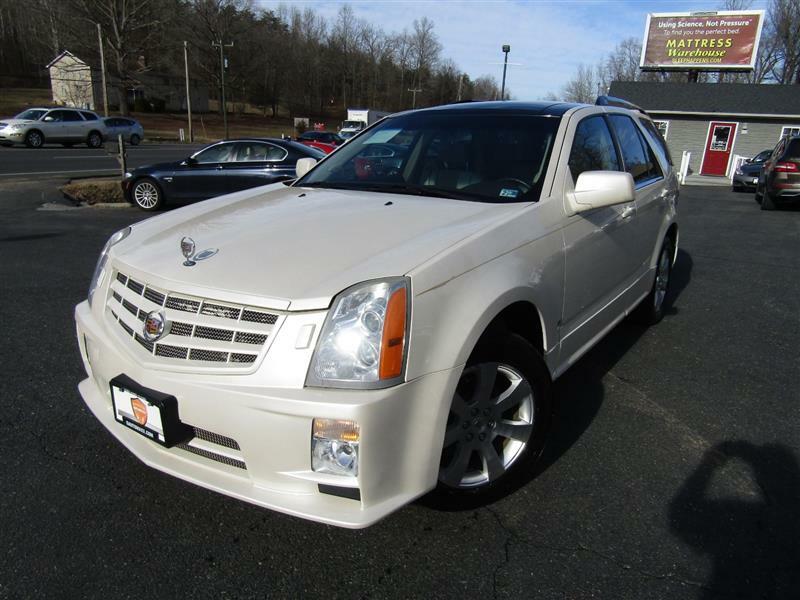 2009 CADILLAC SRX Printer Friendly Flyer. Navigation, Panoramic moonroof, AWD and more. The 2009 Cadillac SRX is a midsize luxury crossover SUV offered in two trim levels, named for what's under the hood: V6 or V8. The V6 includes 17-inch alloy wheels, rear parking assist, leather seating, a power driver seat, OnStar, dual-zone automatic climate control, an auto-dimming rearview mirror and an eight-speaker Bose audio system with satellite radio and an auxiliary audio jack. Step up to the V8 and, in addition to the bigger engine, you'll get 18-inch alloys, xenon headlamps, heated front seats, power-adjustable pedals, driver memory presets, real wood accents, a power front passenger seat and a six-CD changer.